» Mold In Waterlogged Basements – Is it Nasty Menace? Mold In Waterlogged Basements – Is it Nasty Menace? You must be one of those millions of homeowners that do not want mold and mildew in their homes. Yet you always are at the threat of suffering from the intimidation. Mold and mildew are a serious concern in many homes that undergo exposure to water or even dampness for that matter. Your real estate is always prone to compromising even when you do not want. Well, things are beyond control sometimes. Apparently, homes do not dry them up. The CDC team surveyed homes in New Orleans and surprisingly found the presence of mold and mildew, even after months when these homes were hit by hurricane Katrina and hurricane Rita. These facts are alarming and it proves the essence of Mold's Guide by EPA. Molds and mildew thrive in damp, warm, and dark ambiances. However, you must understand what mold or mildew is for that matter and how it can wreak havoc on your life. Although mold and mildew are not different for a common man, these certainly are a distinct species of fungus. The difference is visible in many ways and so are the ways and means of overcoming these problems. Well, you need to understand the source of the problem before you can think of overcoming it and this thumb rule applies to mold and mildew too. Appearance of mold is fuzzy. Typically, it is found in many colors including blue, white, yellow, green, gray, brown, black, or a combination of these colors. On the other hand, mildew looks powdery or downy and found in black or brown colors. However, mold has the capacity to cause structural damages in addition to health hazards. Mold is one of the most common fungi that take a toll of millions of dollars every year. Surprisingly it all starts from few tiny spores that land unguided on any surface. These spores thrive when the surface they land on is damp. Typically, these spores are capable of surviving on any surface right from the carpet to windowpanes and from concrete to leftover apple in the kitchen. Mushy smell or dark patches on the infested surface are some common symptoms of the presence of mold. However, these generalized symptoms are broadly classified into various categories depending upon the texture, color, and size. Presence of mold is an indication of a serious infestation. Mold patches are black or green in color and are tough to remove. In fact, mold testing is highly recommended even before buying a home. Mold thrives in the form of hyphae or multi-cellular filaments. We often use other form of unicellular fungus commonly known as yeast in bakery products. However, mold is certainly not edible. Extensive growth of mold is a major reason for fuzzy appearance and discoloration. These microbes are responsible for biodegradation of the surface they adhere. Although it is a benefit for food science and biotechnology, it is a problem for homeowners as is a direct threat to real estate demanding hundreds and thousands of dollars towards the maintenance and repairs. The main reason how mold thrives on virtually every surface is it does not rely on photosynthesis like plants to acquire nutrition or energy. It in turn acquires the nutrition from the host itself through continuous biodegradation. Decay of dead animals is a perfect example of day-to-day biodegradation. However, a very few species of fungi are helpful to us and most of them are nasty troublemakers. Mold spores are one of the most common elements of air. However, they do not turn into a concern until they receive favorable conditions like dampness, dark and warm ambiences. Continuous exposure to mold causes these concerns and they become a major threat to health depending upon the frequency of exposure. Even asthma episodes are common in some people with overexposure to the mold infestation as they inhale a large amount of mold spores day in and day out. Triggering asthma attacks is very common when a person suffering from asthma or a person sensitive to asthma is exposed to irritants and allergens produced by molds. Even cleaning mold from the wall is risky for such persons due to chances of extreme exposure. Mushy smelling basements or bathrooms are indications of the presence of molds. Spores, irritants, and allergens produced by molds are responsible for such awful odors. You cannot conceal these odors using the bathroom or room fresheners. You cannot remove mold completely until you create atmospheric barrier. Mold loves moisture and it settles happily in moist or even dampened surfaces. Mold infestation in primary stages is certainly controllable. Removing dampness, moisture, or water within 24 to 48 hours is very necessary to prevent mold settlement. This includes buildings and other construction material. Mold grows virtually on every surface when the moisture is present. Eliminating moisture certainly prevents mold from settling and thriving. Cleaning mold from hard surfaces is easier than removing it from soft surfaces. Mold is capable of generating hazardous bio-toxins in addition to spreading spores. Both of them are capable of causing health concerns. Avoid direct contact with mold while cleaning. Use dust masks and gloves for optimal protection. Fighting back mold infestation is a tedious and rather continuous process. It is very expensive too, even at the cost of exposure to mold and allied health hazards. The best way to avoid mold infestation is to prevent water seepage and dampness. However, at times, natural disasters like flood or rain are capable of spoiling the balance and places like flooded basements are capable of allowing mold infestation of small to large scale. 5. Are You Ready To Handle Emergencies? Flooding – Flooding is one of the common emergencies with the potential to wreak havoc in many ways. Floods not only destroy valuables, but also give rise to a series of problems. For an example, a flooded basement creates a series of troubles including mold and mildew. These infestations are tough to remove and at times, you need professional services to overcome the problem. Avoiding flood is beyond the scope. However, you can take adequate measures to minimize loss and overcome the hazards in minimum duration. Sewage Backup – Sewage backup is one of the common reasons for excessive moisture. Location and frequency of the occurrence of the problem may change depending upon the construction of a home; however, the severity of the problem remains the same. Such continuous damp spaces attract mold and in turn cause a concern for you. In addition, such leakages create problems on various levels. For an example, such backups are known to release foul odor and cause severe health concerns. Plumbing – Faulty plumbing or aging are some common reasons for leakages and in turn excessive moisture in a building. Such consistent leakages provide a breeding ground for mold and mildew. In fact, they are a threat to structural stability too. It is time for preventive measures, especially when you observe dark patches, mushy smell, and continuous moisture in places like basements, bathrooms, and kitchen. Roof Leaks – Improper maintenance of roofs leads to roof leaks and in turn creates a breeding ground for mold and mildew. The problem worsens when the water seeps in unattended places as the infestation is declared only after it turns severe. Restoring from such problems is not only tough, but it is expensive too, as often you need professional mold removal services due to the gravity of the situation. Bathtub or Sink Overflows – One of the common reasons for seepage of excess water is overflowing bathtubs or kitchen sinks. These are easy to control and you can always limit the severity by taking simple preventive actions. Higher Water Table – Higher level of the water table is a common reason for seepage of water in basements. Water table is a level of natural ground water. For an example, ground water runs through underground natural channels and percolates through walls resulting in seepage in the basement of other parts of the home. Such leakages are continuous and pumping the water is the only solution to overcome such problem. Homes in places like Chicago frequently suffer from such continuous leakages. Handling these emergencies in an apt manner is very necessary as improper removal of water leads to excessive growth of mold and mildew in waterlogged basements. Rain – Certain times heavy rainfall leads to flooding of the basement. Despite the fact that such emergencies do not repeat often, they do require urgent corrective actions like immediate pumping excess water. Mold and mildew can thrive within 24 to 48 hours and therefore remove the dampness within this period to prevent the settlement of mold. The period of 24 to 48 hours is very critical for initiating preventive measures. However, many homeowners miss the point and provide a breeding ground for mold and mildew. Even per EPA, complete mold removal is impossible and the best way to overcome the problem is to prevent it in the first place. Removing moisture indeed is key to keep mold and mildew at bay. Mold Detection, Inspection, And Testing – Is Something Brewing Under Your Nose? Being your own Sherlock Holmes has been always proactive to determine the presence of mold in your home. Mold loves hide-and-seek and so it increases the essence of finding it before it creates a menace. Here are some tips to identify the presence of mold in your home. Step 1: Mushy smell announces the presence of mold. Being nosy at this time is certainly beneficial. Mushy smell in dampened basements or bathrooms must blow the alarm and that brings you to step two. Step 2: Look for dark patches in the basements. These spots or patches are colonies of mold and are easily visible. In addition, such patches are the reason for mushy smell. Please take adequate care to wear a mask and gloves before you start the inspection. This leads you to step three. Step 3: Mold inspection kits are available in stores to double check if you are dealing with mold infestation. Use these kits to determine the presence of mold. It helps you in defining the remedial action to remove the mold. Such kits are handy to find out undetectable molds hiding deep inside the structure and far away from your eyes. Identifying the presence of mold in your home is the foremost step to retaliate the problem. Various ways and means are available to fight back. However, you cannot select the right one without a well-defined strategy. Cost Of Mold Inspections And Removal – Are You Burning Hole In Pocket? Costs of mold inspection and removal are two distinct factors. You can detect small infestations on your own. In fact, you can always use mold detection kits to detect hidden mold. However, at times, you require the services of qualified mold inspectors costing you around $100 to $4000. The cost is variable and depends upon numerous factors. In fact, it is strongly recommended to hire a certified mold inspector during buying a home in case your nose smells mushy stink. Cost for mold removal depends upon the size of the infestation. You can remove smaller patches on your own simply by using a scrubber and laundry detergent. However, large patches require specialized services. The ball is still in your court and timely decision always is rewarding. However, please understand that any timely remedial action will not burn a hole in pocket. Certain companies offer conditional yet free inspection of mold. However, they expect you to hire them for mold removal in case they detect mold in your home. Therefore, be very careful and read the terms and conditions even those printed in tiny letters before entering into any contract for a free mold inspection. Mold Removal – What Are The Available Options? Mold removal is a tedious process with certain health hazards involved in it in case you do not take adequate precaution. In addition, you must understand the process and its demands thoroughly. 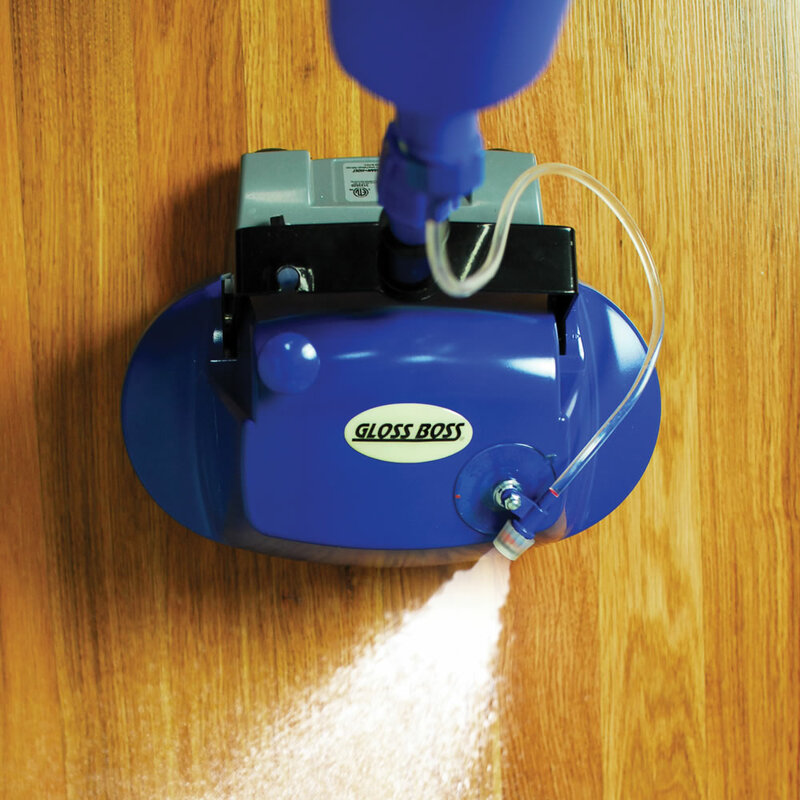 For an example, mold removal process for concrete walls is completely different from the technique used on painted or dry walls. The cleaning material required varies too. However, please do not forget the thumb rule before arriving at any conclusion. You must work in a dry and ventilated area for effective removal of mold. What Are The Prevalent Methods? Pumping excess water from waterlogged basements is the foremost step. Various methods of pumping are available. 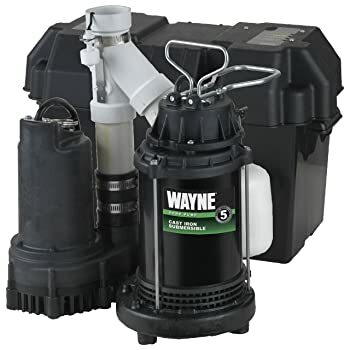 Typically, a submersible sump pump with suction at the base is suitable for faster removal of water from basements. In fact, you can always keep such a pump as a standby option as a part of preparation to handle emergencies. 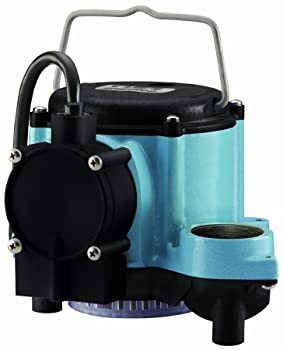 Such sump pumps are available in various capacities and installing them is comparatively easy with their quick connect mechanism. Such pumps come with long cords. Therefore, you can install them even in sump pits. However, select a pump with adequate horsepower and rating depending upon the height, distance, and volume of pumping. 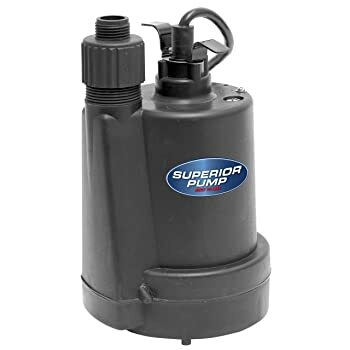 Underrated pump is no good and on the other hand overrated pump drills hole in the pocket as it consumes more resources. You can remove mold manually using a hard scrubber and some bleach. Mix three parts of water to one part of bleach. Apply it on the mold patch and scrub hard until it disappears. However, make sure to wear a dust mask, safety goggles, and gloves for adequate protection from the sprinkles of bleach and airborne infections. Please analyze the type of the surface prior to commencing as every surface has its own requirements of handling. You might end up in spoiling the surface of a painted wall if you apply mold removal technique suitable for concrete walls. Hire a professional mold removal company, sit back, relax, and watch the fireworks. This option is especially handy when kids are around. Please select the company based on their previous performance, expertise, and reviews if any. Methods adopted by such professionals are scientific and the results are satisfying. However, it is sometimes costly owing to the size and scope of the removal work. Please make sure to understand the terms and conditions before you hire professionals. A very few types of fungi are highly useful to humans. Surprisingly such fungi are suitable for preparation of food, medicines, and certain artifacts. For an example, Penicillium mold is the base agent for preparing Penicillin, the antibiotic that has saved millions of lives. Similarly, yeast, another version of fungus makes our breads puff up. In addition, certain artists use the fungi brilliantly to sculpt a masterpiece. Sandblasting mold in crevices of glassware gives rise to gorgeous macro-micro portraits, a unique expression of creativity. Surprisingly, molds are very helpful to filmmakers. Settlement of mold on walls certainly makes the homes look creepy and making such spooky homes is a million-dollar industry today. Well, if your waterlogged basement reminds you of such creepy places, then it is time for action. Complete eradication of mold and mildew is possible only when you maintain dry ambiance. Timely corrective actions help you in overcoming the problem in a meticulous manner. Please install a pumping system in case the water table in your area is on high-rise or water seepage is common. 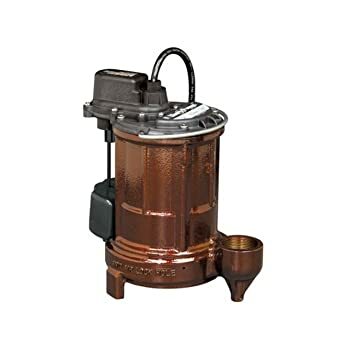 Keep a portable, submersible sump pump as a standby option. You never know when it comes handy. Mold removal is a tedious process. Understand the type of the surface before you begin and use adequate safety tools while dealing with the problem. Using dust masks, gloves, and safety goggles is necessary during such operations. Such safety tools prevent direct contact with irritants and allergens released by patches of mold and mildew while you clean them from the surface. It is always better to start early than doing a lot more work than you actually deserve just because you let the mold thrive due to ignorance. Mold and mildew thrive in 24 to 48 hours in favorable conditions like moisture, improper ventilation, humidity, and darkness. Paying inspection fees is worth when you are dealing with hidden mold. The problem is multifaceted although it seems easy to handle. In addition to various health hazards, mold and mildew are capable of causing structural damages and in turn become a menace. Therefore, make sure to understand the severity of the problem and take corrective steps in time. Do not let your waterlogged basement turn into creepy and unhygienic place for everyone you love. Basements, crawl spaces, bathrooms, kitchen sink cabinets, and almost every place with the presence of moisture could turn into a habitat for mold and mildew. Handling emergencies are a part of life and you ought to be prepared for the same. Problems like a mold infestation wreck serious havoc on health and wealth. In fact, a home infested with mold and mildew fetches lesser resale price. Please do not let these microorganisms ruin your life out of nowhere. Preventive measures like efficient pumping of water from the basement, use dehumidifier when necessary, and timely removal of mold using contemporary techniques are some essentials you must understand and adapt.